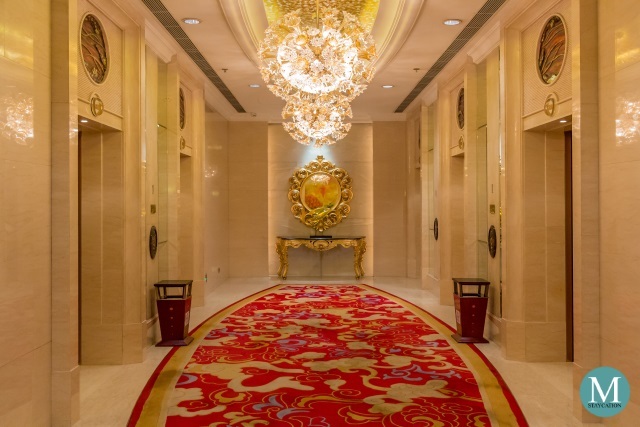 Shangri-La Hotel Suzhou (苏州香格里拉大酒店) is a luxury hotel centrally located in the Suzhou New District near corporate offices of multinational companies and shopping malls. 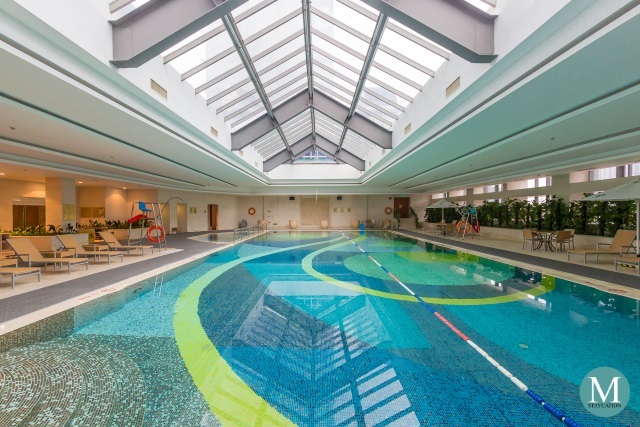 It is also conveniently located near the famous tourists attractions in Suzhou, making it a popular choice among business and leisure travelers. It was already 2:00pm when I arrived at the hotel. As soon as I step into the hotel, the concierge immediately offered help to carry my luggage and lead me to the front desk for check-in. It did not take long for them to locate my reservation. After signing my pre-filled registration form and making the necessary security deposit, my room's electronic key card were handed to me, and the concierge assisted me to my room. *Access to these floors are limited to checked-in guests only. An electronic key card is required. I visited Shangri-La Hotel Suzhou last December 2018 during my two-weeks Winter in China trip, which covered six cities in eastern and central China. My stay at Shangri-La Hotel Suzhou is also part of my goal to achieve Golden Circle Jade membership before the year ended. I booked my room during Shangri-La's You Deserve-promotion which also entitled my stay to earn double Golden Circle points. 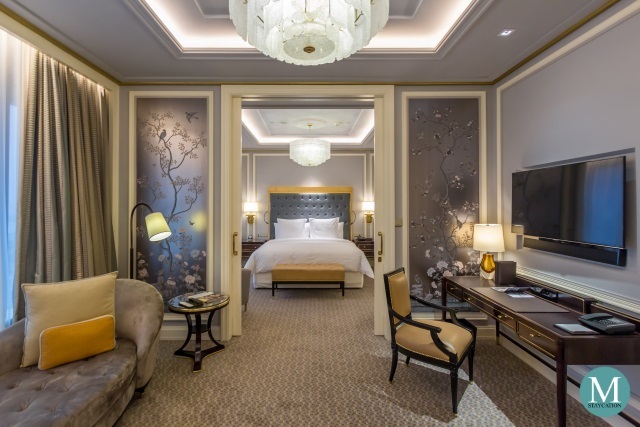 Shangri-La Hotel Suzhou has a total of 390 guestrooms and suites designed in the classic Shangri-La elegance that is warm and homey. All rooms are located on the higher floors of the building, offering guests with sweeping views of the city. All guests also enjoy luxurious furnishings and amenities including a bathtub in all of its guestrooms and suites. 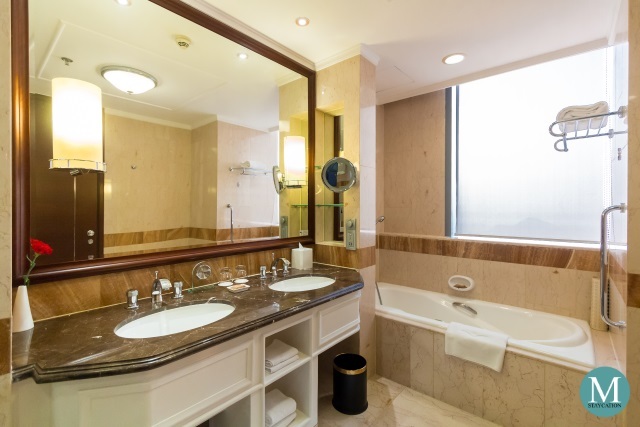 The Deluxe Room is the lead-in guestroom category of Shangri-La Hotel Suzhou. 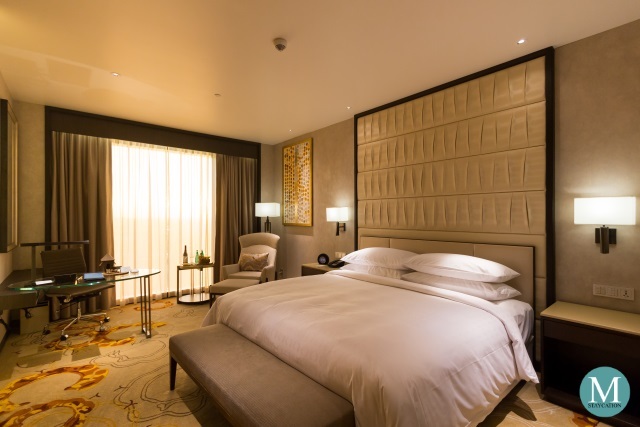 There are actually two types of Deluxe Rooms here at Shangri-La Hotel Suzhou. I stayed in room 4405 which is a corner room version of the Deluxe Room. I prefer this one because it feels more spacious and it has wider windows too, making the interior look brighter and more airy. 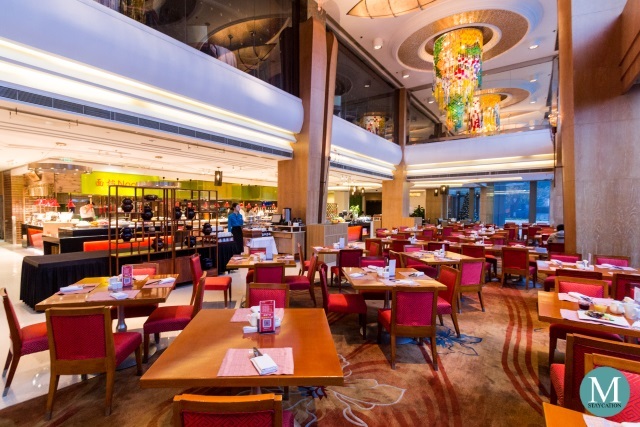 Shangri-La Hotel Suzhou has a total of five dining outlets specializing in a variety of cuisines. 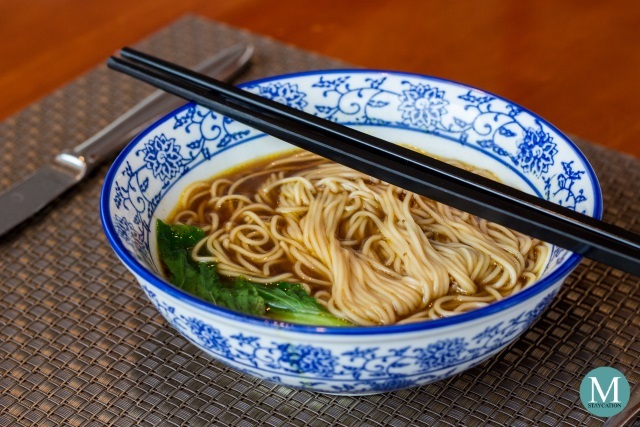 An integral part of my Shangri-La stays are the local cuisine offered by its restaurants. 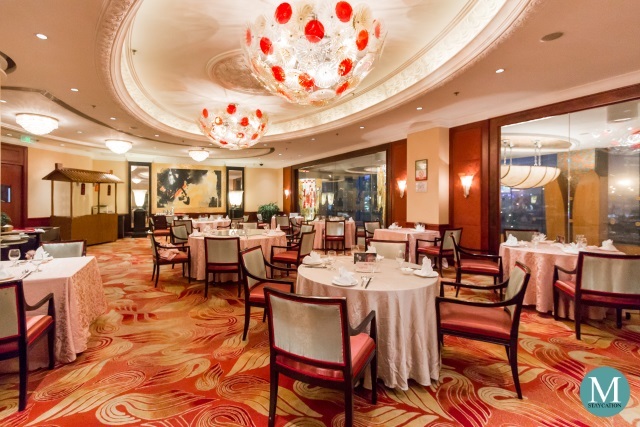 Whenever I stay in a Shangri-La in China, I always make sure that I try the specialty Chinese restaurant while for breakfast, the all-day dining restaurant is my primary choice. 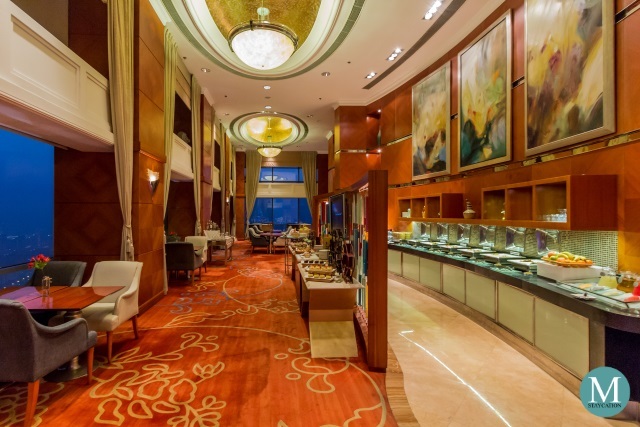 When I travel for leisure, I make sure that I set aside time in the morning to enjoy the buffet breakfast. This is also an opportunity for me to sample the local breakfast specialties of the city. Wile on a business trip, I only have limited time in the morning and would normally dine for a few minutes only and get what is readily available from the buffet spread. 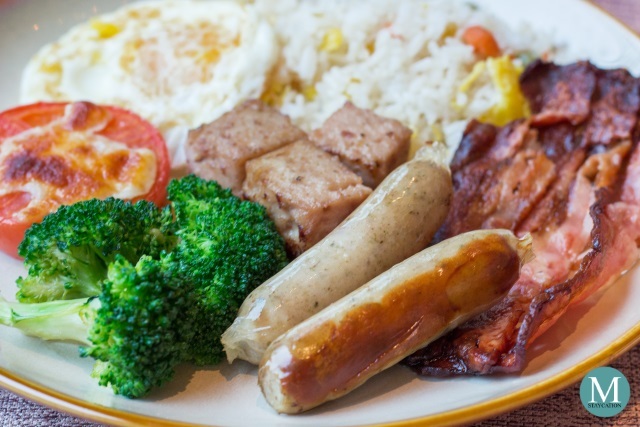 In-Room Breakfast - Guests who do not have breakfast included in their room package may opt to order in-room breakfast. This is ideal for guests who would be working in their room or for guests who prefer dining in the privacy of their rooms. 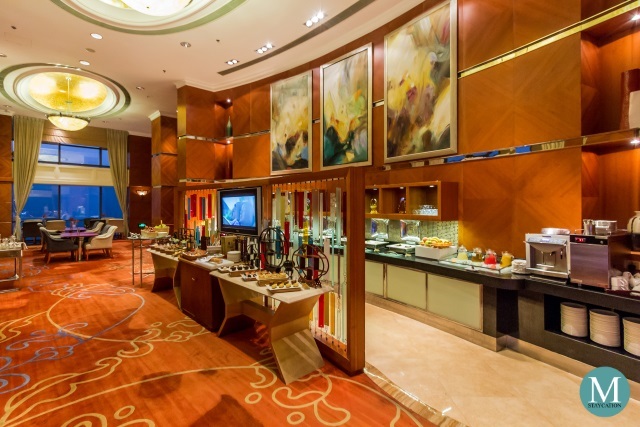 Choices include Continental, Western or Chinese set breakfast meals which includes coffee, tea and fruit juice. 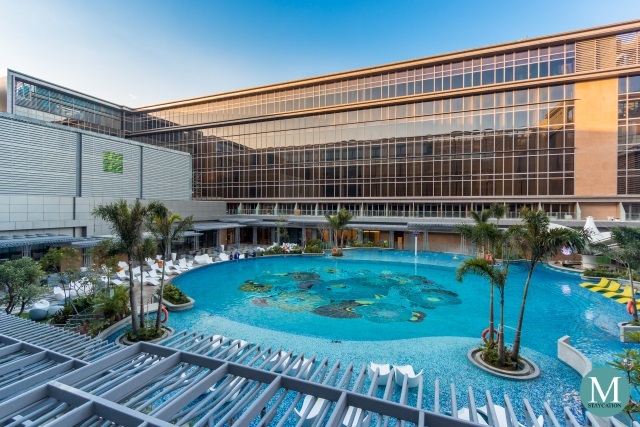 Spa - relieve stress after long hours of work at the office or a whole day of exploring the attractions of Suzhou, choose from a wide selection of body and facial treatments as well as massage packages. Open daily from 10:00am to 11:00pm. 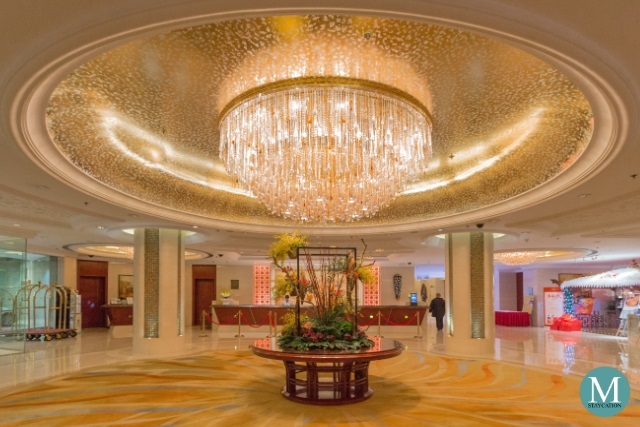 Shangri-La Hotel Suzhou is located in the Suzhou New District, around 40 kilometers from Sunan Shuofang International Airport, the main international gateway of Suzhou City. 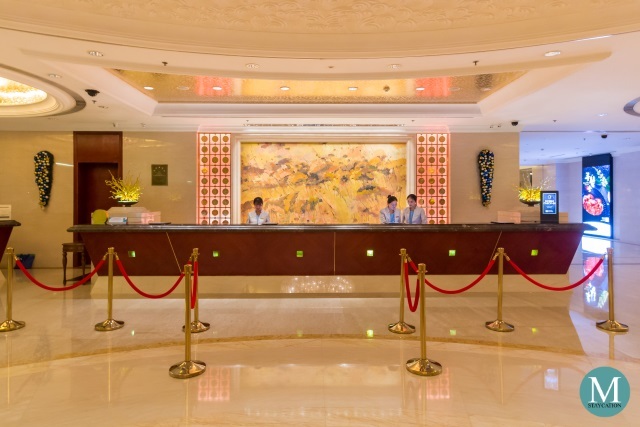 For guests arriving in Shanghai, the hotel is located some 167 kilometers from Shanghai Pudong International Airport or around 92 kilometers from Shanghai Hongqiao International Airport. International Flights - there are a few airlines that serve direct international flights to Suzhou's Sunan Shuofang International Airport including flights coming from Singapore, Bangkok, Hong Kong, Macau and Taipei. Majority of international travelers arrive either at Shanghai Pudong International Airport or Shanghai Hongqiao International Airport. 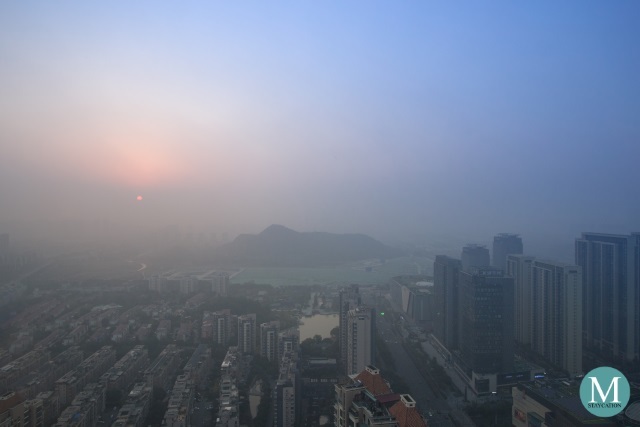 Domestic Flights - there are plenty of local airlines that serve daily flights to Suzhou coming from key cities around China including Beijing, Guangzhou, Shenzhen, Changsha, Chengdu, Chongqing, Xiamen and Xi'an, to name a few. China High-Speed Train (CRH) - International guests arriving in Shanghai may take the High-Speed Train (CRH) from Shanghai Hongqiao Railway Station to Suzhou. Guests arriving at Shanghai Pudong airport will have to take the subway first to Shanghai Pudong airport and walk to the connecting Shanghai Hongqiao Railway Staion. There are four CRH railway stations in Suzhou: Suzhou Railway Station, Suzhou North Railway Station, Suzhou New Area Railway Station, and Suzhou Industrial Park Railway Station. I recommend taking the Suzhou Railway Station as your terminus station as this has more frequency of trips. CRH ticket fare from Shanghai Hongqiao Railway Station to Suzhou Railway Station ranges from CNY20.00 to CNY39.50 for a second class seat and the travel time ranges from 25 minutes to 49 minutes, depending on the route and number of stops. There are also CRH trains connecting other cities in China to Suzhou. Trip.com App - I recommend using the Trip.com app to purchase your CRH tickets in advance. It accepts credit cards and debit cards. Using the app, you can choose the CRH trip that best fits your schedule. Upon purchase, a confirmation code will be generated by the app and you will have to claim your physical ticket at the ticket office of your train station of origin. Your passport together with the confirmation code are required to claim your ticket. Hotel Limousine Service - the most convenient way to get to the hotel from the airport is by booking the hotel's limousine service. Rates start at CNY 1,100.00 per way. 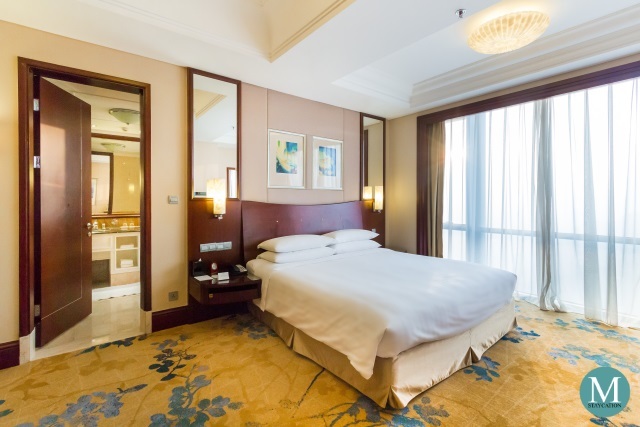 Travel time is around 1.5 hours from Shanghai Hongqiao International Airport and 2.5 hours from Shanghai Pudong International Airport. Just email the hotel for a quotation. Local Taxi - Taxi is also a convenient way to get to the hotel straight from the airport. Taxis are readily available at the arrival areas of the two airports in Shanghai. taxi fare from Shanghai Hongqiao International Airport is around CNY475.00 while taxi fare from Shanghai Pudong International Airport is around CNY600.00. Guests arriving at the Suzhou Railway Station via the CRH may also take a taxi at the designated taxi boarding platforms. Just follow the signage at the arrival area. Taxi fare is around CNY60.00. Guests arriving at Suzhou's Sunan Shuofang International Airport can also take a taxi from the arrival area. Just look for the designated taxi boarding area. Fare from Suzhou airport to the hotel is around CNY160.00. Moving Around - the Suzhou Metro subway is an affordable and efficient way to move around the city, especially for solo travelers. There are currently three lines servicing the city. The nearest subway station to the hotel is the Tayuan Road Station which is around 15-20 minutes walk from the hotel. To save time, I personally recommend that you take the Local Taxi. You can ask the help of the hotel concierge to get a taxi for you. Make sure that you also bring a business card which will be very handy when taking a taxi back to the hotel. To get the best room rate, make sure you book your room via www.shangri-la.com or via the Shangri-La Mobile App. 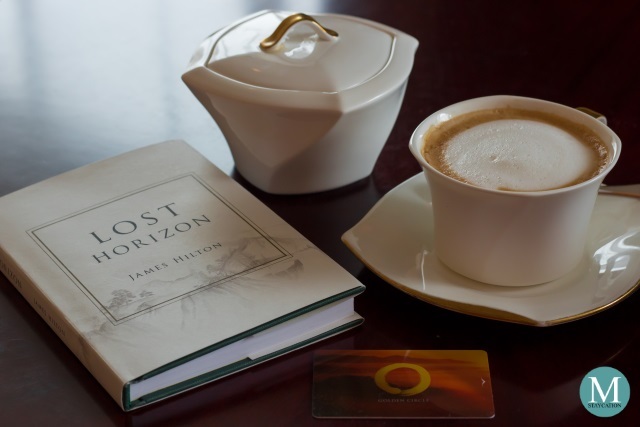 If you are a Golden Circle (GC) Member, make sure you log-in to your account when booking your room in order to earn GC Award Points on your stay. You can then redeem these GC Award Points to pay, in full or in part, your future dining bills at any participating Shangri-La restaurants around the world. You can also convert your points to overnight stays. 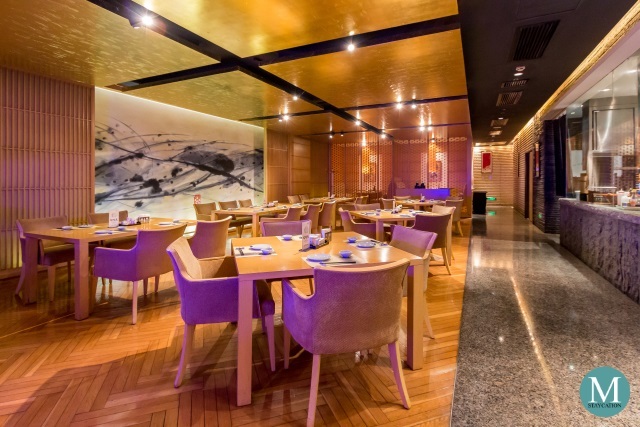 Earn 1 GC Award Point for each USD 1 qualifying spend when dining at over 500 participating restaurants & bars worldwide. GC Award Points will be credited to your account one to two weeks after the date of transaction. Redeem your points instantly at any participating restaurants & bars with 10 GC Award Points covering every USD 1 of your dining bill. You may also choose to redeem your points for dining vouchers online. If you're not yet a Golden Circle member, you can join here for free.